Step aboard the USS Enterprise for a bold new adventure in Star Trek The Video Game for PlayStation 3.
set in the new Star Trek universe masterminded by J.J. Abrams in his 2009 reboot of the classic sci-fi series. Star Trek The Video Game is an exciting new voyage for the crew of the Starship Enterprise in the new universe created in the 2009 Star Trek movie. Set between the events of that movie and the sequel Star Trek Into Darkness, this original story was co-written by BAFTA award winner and God of War writer, Marianne Krawczyk. Acclaimed Ontario-based developers Digital Extremes have worked closely with the team at Paramount Pictures to ensure that this is a game that forms an important and faithful part of the Star Trek franchise, with the movie cast, including Chris pine, Zachary Quinto, Karl Urban and Simon Pegg, all performing their roles for the game. Star Trek The Video Game allows you to play as Captain James T Kirk and Mr Spock for the first time in a video game. Whether you choose the reckless Kirk or logical Spock, the two distinct personalities allow for very different playing styles and character abilities, and you'll need to work alongside your partner to save the galaxy together. In this unique co-op adventure, you can play locally or online with a friend in private co-op mode, or go online and team with any other player joining in around the world. You can also play alone, with your partner controlled through AI. But what would Star Trek be without strange new worlds to explore? Star Trek The Video Game lets you visit mysterious alien planets filled with dense jungles or treacherous rocks, as well as remote space stations, science labs and more. Plus, you'll get to explore parts of the Enterprise that have never been before. You'll also discover the villains of the story, the deadly Gorn. These rascally reptiles have been given a makeover in-keeping with the new Star Trek universe, and are now more dangerous than ever. The spirit of Star Trek adventure is also very much alive in the gameplay of Star Trek The Video Game. Whether you're gliding through chasms or jumping precariously through zero G onto moving spaceships, hijacking enemy vessels or guiding the Enterprise in epic space battles, this is your chance to experience the action and excitement that comes with being the Captain and First Officer of a Federation Starship. You'll also be rewarded for carrying out your missions like a true Starfleet officer, like setting your phasers to stun instead of kill. Amidst all the action, though, there is still very much an emphasis on exploration. This is not limited to the places you go, but in the way you play, too. Each location is ripe with information to gather using your trusty Tricorder, and the more you learn from the people and places around you, the more you'll be rewarded. The Tricorder can also be used to solve puzzles, open doorways and access control panels, and sometimes only in tandem with your partner. The Tricorder isn't the only bit of 23rd Century equipiment you'll use in Star Trek The Video Game. There's a wide variety of weapons and gear from Kirk and Spock's signature phasers, to specialist outfits for certain environments, to the weapons that Scotty has been tinkering with and upgrading. Combined with your character's special skills, every encounter, every no-win situation will turn out differently based on who, what and how you play. Preorder Bonus: In-Game Elite Officers Pack! Preorder Star Trek: The Video Game on Xbox 360, PlayStation 3 or PC and receive the Elite Officers Pack. The Elite Officers Pack features exclusive items and unique uniforms for legendary characters Kirk and Spock, who play front and centre in a completely new story created especially for Star Trek: The Video Game, written by BAFTA award winner Marianne Krawczyk. Kobayashi Maru Pack: Kirk and Spock Kobayashi Maru uniforms. Terms and Conditions: UK ONLY. Limited Offer while stocks last. Customers who have already preordered this product will also receive the bonus item. STEAM (PC Customers) in order to access your bonus item. Please ensure that the email address in Your Account is valid before preordering. Your bonus item will be emailed to you on the release of Star Trek: The Video Game. This offer is only valid against mint boxed copy of the game and not the download or preowned version. will only receive 1x bonus code per order not per copy of the game. Preorder Bonus: Free Ticket for Star Trek Into Darkness and VIP Movie Prize Draw! Preorder Star Trek The Video Game on Xbox 360, PlayStation 3 and PC and you will receive an exclusive complimentary ticket to Star Trek Into Darkness, which releases in cinemas everywhere in May 17th 2013. 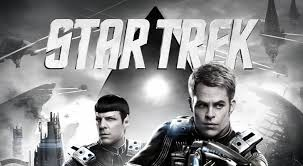 Working with Hollywood Movie Money, customers who purchase Star Trek The Video Game will receive a unique code which can be redeemed instantly online via a special microsite. The redemption will award a full adult ticket to any Cineworld cinema in the country. Any additional seating or upgrade will have to be purchased at the cinema chain. The promotion will be available whilst ticket allocation and box office remains. Preorders today to secure your free ticket. Namco Bandai Partners UK and [html]<a href="http://www.awin1.com/awcl ... &id=137641" target="_blank">GAME</a>[/html] will also select a special winner from all the purchasers and offer a VIP, red-carpet treatment to a future Paramount Pictures UK Premiere including 5 star accommodation. UK ONLY. Limited Offer while stocks last. Customers who have already preordered this product will also receive the bonus item. This offer is only valid against mint boxed copy of the game and not the download or preowned version. Bulk or Business preorders (orders in excess of 10 copies of the same game) will only receive 1x bonus code per order not per copy of the game. Your ticket redemption code will be emailed to you on the release of Star Trek The Video Game and will need to be redeemed via www.Namcogamepromotion.co.uk. This code will entitle you to 1 (one) complimentary adult ticket for Star Trek Into Darkness at participating Cineworld cinemas. Standard 2D seating only. Additional seating, upgraded seating or upgrade to 3D presentation will have to be purchased at the cinema. Restrictions and availability may apply. Star Trek Into Darkness is rated 12A.